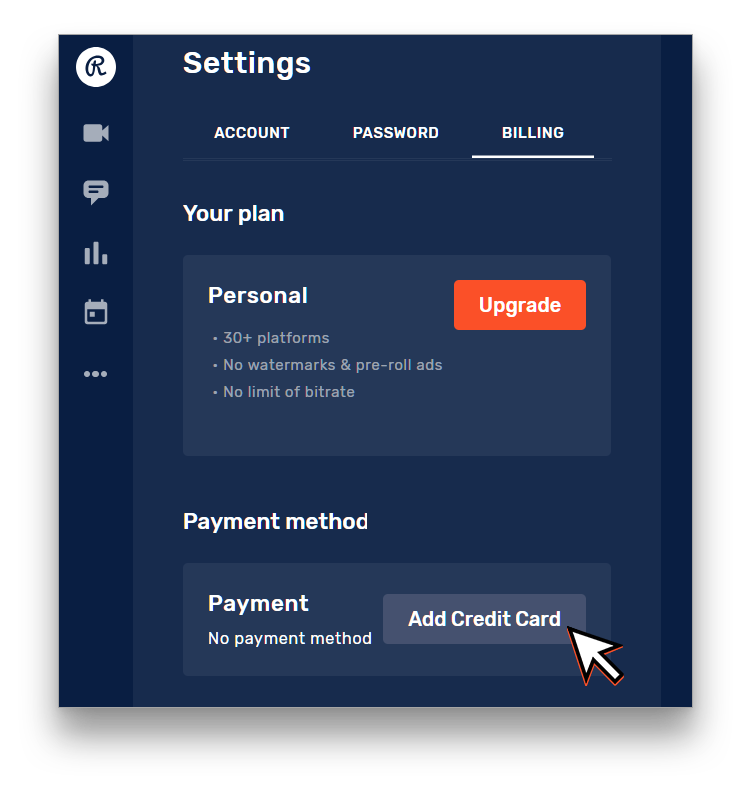 Your subscriptions automatically renew at the end of each billing cycle by using your credit card information. If you update your credit card before your next renewal date, we’ll use the updated card for the next payment. Important: If your debit or credit card expires, update your information before your next billing date to avoid a service interruption. 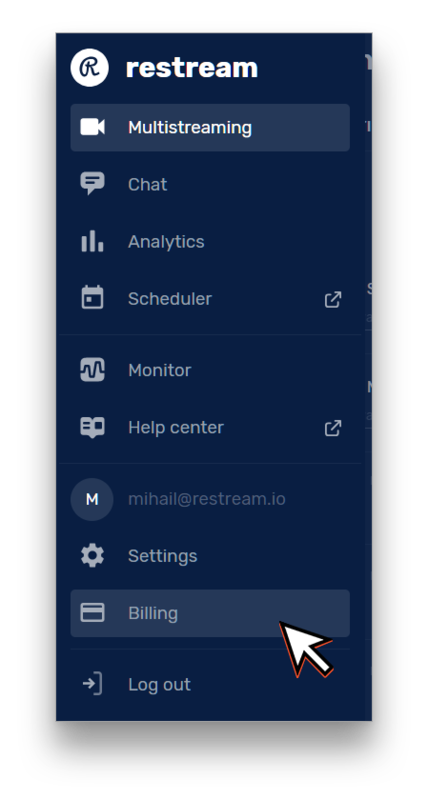 Go to your Restream Dashboard. Click on your profile, which is located in the bottom left-hand corner of the website. And click "Billing"
2. Select "Add Credit Card" if you don't have a credit card added. Select "Edit Credit Card" if you want to change your credit card details. 3. Fill out your billing information and click on "Payment info"
4. 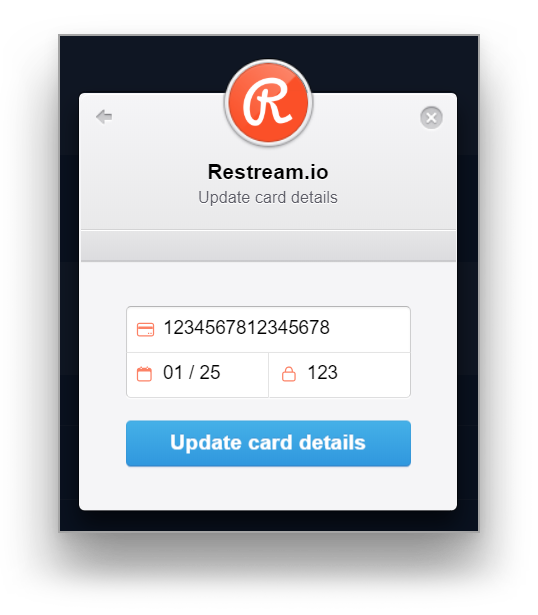 Enter your card details and click on "Update card details"
Your payment information has been successfully updated! 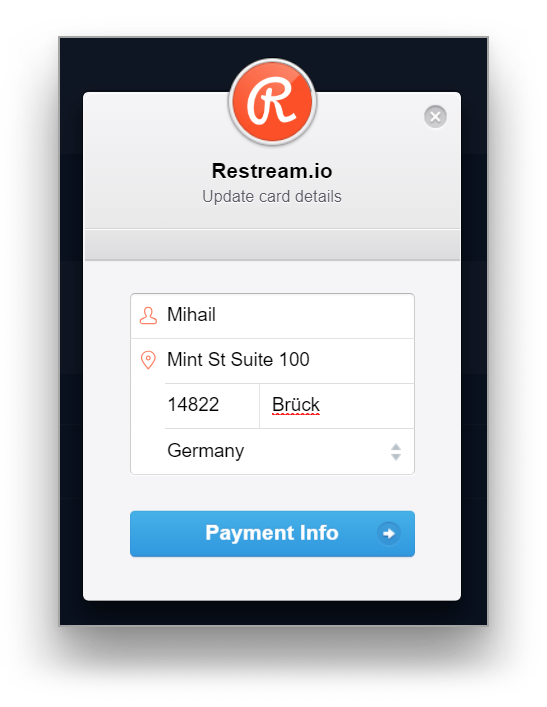 Have more billing/payments questions? Click here!